Many have their opinions. Many have their arguments, objections and doubts. But all of these are rendered irrelevant when one truly encounters the divine for themselves. There are those who have found this unspeakable gift in life that is more precious than existence itself. This gift is a person. To those that believe in His name it is revealed by the Holy Spirit that He is everything. Christ is a taste of living beauty in a world where sometimes it is hard to even go on another day - He is God’s own answer to the above question, for the whole world to know. Anthemic: The Expression of Divine represents many things. It is a response to the perfection and supremacy of Christ. It is also a document of one’s journey with God. With its pilgrimage between visceral crying out to the Unseen God and deep expressions of eternity and faith, it reflects the unique and sacred relationship humanity has with God in Christ. It unashamedly says to the world that Jesus Christ is Lord, unto the glory of the Father. Prayers, meditations and biblical truth weave together as a modern-day hymnal of fresh and enduring songs for God and His heritage. In all of this is an invitation for the reader to partake in the fulfilled Promise of God that provides for us joy, peace, righteousness, eternal life, and victory - regardless of all earthly circumstances. Eric Sanchez lives in Southern California. When he was born his life was nearly lost—he suffered from a congenital heart defect that required open-heart surgery. He looks back at this as a young man with a sense of grace and purpose in determination. Had he been born in any other time in history he would not have survived. He still is in awe that God has chosen to preserve him and use him to spread the knowledge of Himself in this world. Every day his deepest yearning is that the name of his God might be magnified and that souls would be brought to life in it—by the power of the Holy Spirit. He has given his life to spreading the Gospel of Jesus to frontiers where the Name is not yet named. He prays that all would know the wonder and freeing truth of Christ. He holds a Bachelor of Arts in Communication from California State University, San Bernardino. He holds a graduate degree from the Cook School of Intercultural Studies at Biola University. 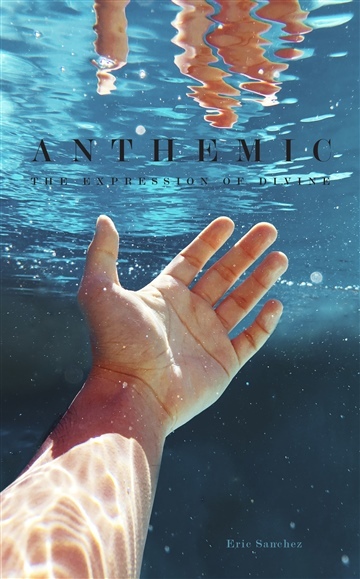 "In Anthemic: The Expression of Divine, Eric Sanchez shares a courageous, honest and freeing faith and certainty, making this a beautiful and profound book. I found it inspirational and encouraging and it is sure to speak to Christians and those seeking spiritual encouragement in life."